Wearing a fragrance is more than just smelling good. It's about adding a touch of luxury to your day. And what could be more luxurious than one of the most iconic fragrances of all time? That's right, Chanel No.5. In the early 1920's Coco Chanel released her first perfume, and to this day it is still one of the most popular scents world wide. But what made this one perfume such a world wide success? To begin with, it was a perfume created like none other of it's time. During this time, fragrances for women were simple, single floral notes. 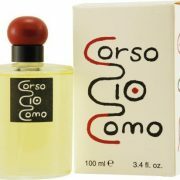 There was yet to be developed a way to make a long lasting fragrance with different levels of complexity. But Gabrielle Coco Chanel, being the innovative couturier that she was, found a way. While on holiday with her lover at the time, Grand Duke Dimitri Pavlovich Romanov of Russia (Rasputin's murderer! ), she met a brilliant perfumer by the name of Ernest Beaux. Ernest Beaux had found a way to not only use multiple fragrance notes, but to make the scent last as well. Perfumer were experimenting with chemicals aldehydes that would allow for long lasting scents with more than one simple note. However, they were extremely powerful so perfumers chose to stay away from them for the time. Not Beaux. He had continued his experiments until he found the right combination to make a wearable perfume with aldehydes. So when Coco Chanel came to him with the desire to make a perfume that would smell like a woman, beautiful, clean, and complex, he dove into work at his lab. She demanded a modern fragrance that could speak to the liberated, flapper style women of the time. No more single flowers for her! The story goes that Ernst Beaux presented ten samples to her numbered 1-5 and 20-24. Throughout her life the number “5” had held a special meaning to Coco. So it was meant to be that sample No.5 was here favorite and she decided to keep it's name “No.5”. Thus, Chanel No.5 became the first complex fragrance made with aldehydes combining notes of bergamot, lemon, neroli and ylang-ylang, the heart of jasmine, rose, lily of the valley and iris, vetiver, sandalwood, vanilla, amber and patchouli. None of the notes can be isolated as they are meant to be a complete blend of scents. 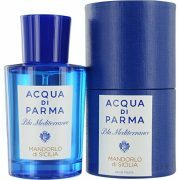 In stark contrast of the complexity of the fragrance is the simplicity of it's bottle. In the 1920's master glass makers were tasked with making elaborate perfume bottles. But Chanel chose to let the complexity of her fragrance speak for itself and chose to go with a simple square bottle reminiscent of a whiskey flask. The only part of the bottle that has really changed over the years is the stopper. Originally it was just a simple glass square. Over the years it has progressed into a more beveled shape resembling an emerald cut diamond. But how did Coco Chanel get this one fragrance to become so incredibly popular? It didn't hurt that she was already the epitome of class and extravagance. Before the official release of the perfume she held an elegant dinner party with some of her most elite friends. As they entered the restaurant they were sprayed with Chanel No.5. Then on May 5th, 1921 (purposely sticking with her love of the number 5) she launched Chanel No.5 from her rue Cambon boutique. She had the dressing rooms infused with the perfume and even gifted a few of her highest society friends with bottles of Chanel No.5. 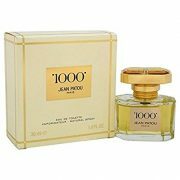 Instantly marking it as THE fragrance for women, the highest symbol of luxury and class. After the war Chanel realized that to make her fragrance loved world wide it would be time to make it more accessible. They began selling it to soldiers returning after the war. 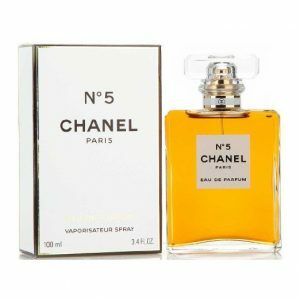 GI soldiers waited in long lines to bring back a bit of Parisian luxe to their wives, fiances, girlfriends, mother, sisters…Chanel No.5 became an instant world wide success. Suddenly every woman in America and Europe wanted to smell like Chanel No.5. Who can forget the famous Marilyn Monroe quote? When asked what she wore to bed the iconic bombshell replied, “Why, Chanel No.5, of course”. Andy Warhol went on to immortalize Chanel No.5 in a series of prints. Chanel used some of the biggest celebrities to be the face of their ads such as Catherine Denevue, Marilyn Monroe, Ali Mac Graw, Carole Bouquet, Vanessa Paradis, Nicole Kidman, Audrey Tatutou, Kate Moss, Kiera Knightly, and Gisele Bundchen. Chanel had another first when they had Brad Pitt become the first man ever to be the face of a woman's fragrance. From Chanel No.5's birth in the early 1920's till today Chanel No. 5 has been a symbol of luxury. A fragrance that any woman can wear to make her feel like the ultimate, beautiful, sensual woman. It has been an industry standard and a house hold name. It is an image that is easily recognized world wide. But perhaps what Coco Chanel would have considered it's greatest achievement is being a fragrance that is not only a long lasting one, but one as complex and beautiful as a real woman.